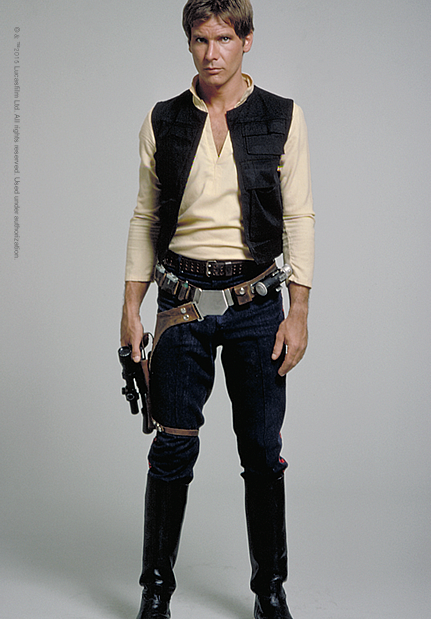 Han Solo, owner and pilot of the freighter Millennium Falcon, is a self-absorbed, outlaw smuggler who ultimately displays his heroic, compassionate side. 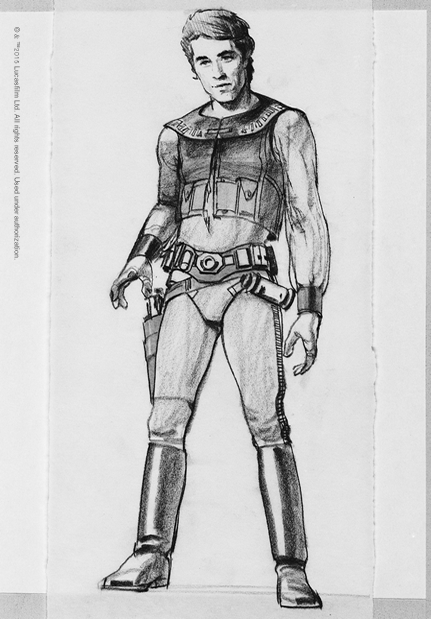 His costume, along with his charming, roguish, gun-slinging mannerisms reflect George Lucas’s interest in the American Western film genre. 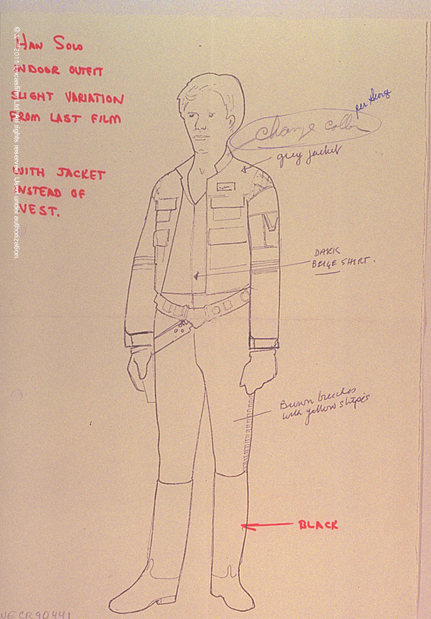 Han’s ensemble is simple, but rich in its heroic symbolism, and is inspired by the American Western as well as military clothing. His shirt and striped pants are reminiscent of the U.S. Cavalry uniform—costume designer John Mollo called the shirt a “Custer” shirt. A black flap jacket vest with many pockets, black leather boots, and a western-style gun holster complete the look.